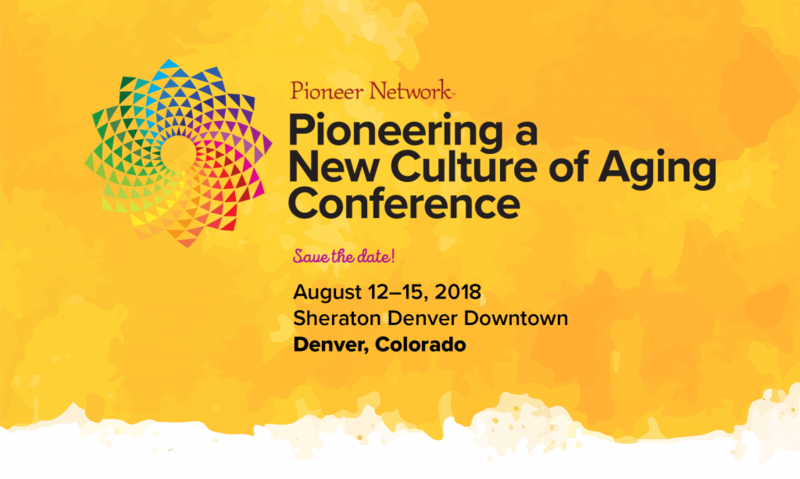 Pioneer Network’s 18th Annual Conference offers 90-and 120-minute concurrent Education Sessions during five different time periods. These are facilitated by a diverse group of expert Guides (faculty), including professors, consultants, regulators, CEOs, direct care workers and those who are “walking the walk” every single day. Whether you have been working in culture change for many years, or are new to the journey, we guarantee that you will find something to stimulate your interest. Session space is on a first-come, first-seated basis. Healthcare is in flux with passionate debate. The population is aging, and requires a higher volume of care options, while the pool of qualified workers is shrinking. When Hover Community experienced high turnover and other workforce issues, they recognized that greater investment in staff would change their trajectory. New Initiatives like a CEO led Assisted Living Academy for educational growth, and an application of Green House core values to activate Universal Workers campus-wide created enhanced career development opportunities and increased talent retention. Join the discussion to understand how these concepts be applied in every organization to build a strong future. Describe the looming healthcare crisis and how The Green House Project serves as a solution. Explore the Hover Community Case Study, by understanding the workforce issues and how the organization addressed it. Susan Ryan’s passion for improving the quality of life for elders has been demonstrated in a variety of settings. 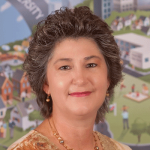 Prior to working with The Green House® team, Ms. Ryan served on the leadership team of a non-profit continuing care retirement community, where she spearheaded the organization’s transformation to culture change by assessing industry innovation and outcomes and developing strategic and educational protocols. Additionally, her experience includes leadership roles as Director of Nursing for a long-term care community and as a Geriatric Nurse Educator providing grant-funded programs to support deinstitutionalization of community seniors. She has also worked extensively with older adults in a home care setting. 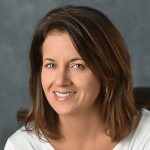 As Chief Executive Officer, Ms. Czolowski introduced the Eden Alternative principles of Culture Change to the organization seven years ago, transforming both the physical and operational focus of the community. She opened the Assisted Living Academy to offer an accessible and affordable educational program for all employees. Ms. Czolowski introduced the Green House Model to the organizations’ Board of Director’s which lead to the development of four – 12 bed Green House Nursing Homes. 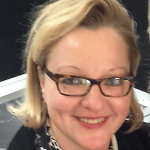 Vecchi is a principal and owner of Vecchi & Associates, LLC, a Women Owned Small Business, which provides urban planning and sustainable design consulting services. Technology is a powerful tool now being used to drive person centered interactions for dementia care. When the right tools are used correctly it enhances rehab, engagement, and care for residents with dementia and cognitive decline. In a dynamic cultural shift, technology, once considered a tool purely for those who are cognitively intact, will be shown as the key to reaching those living with dementia. Specific real-world examples, and review of the research will give participants an understanding of available tools and how to use them to support outcomes, and regulatory compliance while enhancing elder, family, and staff satisfaction. Describe the need and benefit of technology for individuals living with dementia. Describe the research that demonstrates the benefit of use of technology for individual living with dementia. Demonstrate examples of tech-based rehab and engagement. Christopher Krause has been an Occupational Therapist for the past 26 years with the majority of that time concentrated in the geriatric setting. Early in his career Chris provided treatment in the acute care, sub-acute, outpatient, home health, and skilled nursing arena’s. In 1999, rehab operations became his primary focus first at the hospital level and then across various multi-state regions. Years of coaching therapists and the first-hand experience of family members living with dementia has driven Chris’ passion to change the culture of how the rehab world engages those with dementia and related care needs. In 2011 he took on his current role as the Director of Rehabilitation for It’s Never 2 Late, an adaptive computer company. Chris and his team work with existing and potential customers to help them better understand the clinical benefits and ROI behind iN2L utilization as a digital therapy tool. In addition, his work with iN2L developers has led to the creation of new clinical concepts and therapeutic intervention strategies. By creating and modifying software Chris and team are working to change the industry and help therapists reach those living with dementia at their level, in that moment! Carrie Chiusano has thirty plus years of long-term care experience with Presbyterian SeniorCare Network. Most of those years were spent helping to shape and implement the internationally renowned Woodside Place philosophy of specialty care for persons living with Alzheimer’s disease and other related dementias. Carrie has championed the Person-Centered Care initiative as well as the Dementia Care Specialty initiative for Presbyterian SeniorCare Network to become CARF accredited. Carrie served nine years on the Board of Directors for the Pennsylvania Therapeutic Recreation Society. This knowledge and experience led her to become a mentor, motivator and dynamic catalyst to lead Presbyterian SeniorCare Network’s Dementia Care Center of Excellence. Carrie led her team to develop Community-Based Dementia Training Modules and offered them through a Lunch and Learn series addressing topics such as: Dementia…. What’s it all About, Finding the Right Words…. How to Communicate, Behaviors…Finding a Creative Path and Family Dynamics. The first participants in the education sessions were RNs from the emergency department and the nursing units. Wanting to reach a broader community audience, Carrie’s recent participants included the Quality Improvement team and education is now happening for First Responders, local Fire Departments, Police Departments and EMS Teams from Erie to Washington PA. The kitchen is the heart of our home. We all value the freedom and ability to enjoy foods and beverages of our own personal choice, whether in thoughtful solitude or with the camaraderie of those closest to us. Our residents deserve the same. Whether we work in a household, neighborhood or traditional long-term care home, we have unlimited opportunities to enhance our residents’ dining experience, and to provide for their daily pleasures and personal choices in a relationship-based environment. The joy of food and dining is both simple and profound. Come learn how to restore this joy to your residents, as taught by Linda Bump, registered dietitian and one of the pioneers of the Household Model. This presentation will feature a panel discussion with an Executive Director from a hospital-based long term care community and a chef extraordinaire. Participants will be able to apply the New Dining Practice Standards honoring resident directed dining in the range of dining venues from traditional to home. Participants will identify at least 10 opportunities to enhance resident directed dining through individualization and relationships. Participants will identify the opportunities for transforming their food preparation and service from institution to home. Linda Bump is a Registered Dietitian and Licensed Nursing Home Administrator with a passion for resident choice and quality of life with a particular focus on the kitchen as the heart of the home. As an administrator, she has guided four organizations through transformations to a social model of care: Northome Healthcare Center, Bigfork Valley Communities, Meadowlark Hills and Pennybyrn at Maryfield. She has extensive experience as both an internal and external consultant in nursing homes and has provided education on culture change to 60+ nursing homes through her work with Action Pact since 1999. Linda leads the Action Pact workshops: Food for Thought, and Life Happens in the Kitchen. She is the contributor and author of Action Pact workbooks: Nourish the Body and Soul and Life Happens in the Kitchen. The Parkinson’s disease community and individuals living with Parkinson’s disease are a unique population. This population often strongly identifies with their diagnosis and are actively involved in their treatment and care. In this session, attendees will learn about Parkinson’s disease-specific approaches for enhancing person-centered care. Examples will focus on the three components to living well with Parkinson’s disease: exercise, therapy, and education/support services. We hope you’ll join us for this inspiring, interactive, and hands-on session! Identify the unique characteristics and preferences of individuals living with Parkinson’s disease (disease stages) and understand how to apply caregiver support and education approaches within their communities to enhance person-centered care to this population. List the benefits of exercise for individuals with Parkinson’s disease and be able to name exercise as a treatment/care plan approach for individuals with Parkinson’s disease. Natalie Macaro serves as the Director of Adult Day Programs at Parker and has over 20 years of aging services experience. In 2001, Natalie assisted with developing a specialized memory care neighborhood which utilized universal worker concepts. The specialized neighborhood proved to be a successful environment for nurturing and delivering person-centered care and later served as the inspiration for Parker’s small home residences. Natalie began leading Parker’s Adult Day Services in 2008. Under her leadership, Adult Day Services have expanded to include: medical, social, and community programs held in local senior housing buildings. Through her dedication and desire to provide high quality, person-centered programming, Parker’s Adult Day Programs have emerged as the preferred provider in Middlesex County. Natalie is passionate about training and empowering care partners. 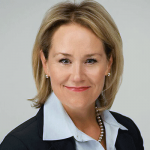 She regularly provides trainings on culture change and Parker’s core values. Lori Morell serves as the Senior Manager for Health & Wellness at Parker. In her role, Lori oversees the daily operations of Parker’s fitness center, pool, and wellness studio. Lori’s involvement with Parker’s I.M.P.A.C.T.S. Program, has led to the development and implementation of exercise classes designed specifically for individuals living with Parkinson’s disease. The exercise classes, which focus on range of motion and large movements, have been well received by elders throughout Parker’s healthcare continuum. Lori is a passionate advocate for exercise as a treatment for Parkinson’s disease. Tanvi Desai serves as the Director of Rehabilitation Services at Parker. In her role, Tanvi oversees the daily operations of Parker’s outpatient rehabilitation programs. Tanvi is a passionate advocate for therapy services as a treatment for Parkinson’s disease. She works closely with therapists to identify and implement therapeutic, person-centered approaches based upon an individual’s disease stage. Recognizing that caring for an individual living with Parkinson’s disease comes with unique challenges, Tanvi regularly provides Parkinson’s disease specific training to care partners and caregivers. Topics often include: safe transfers and the benefits of speech therapy. In this interactive session, Chair Chi Founder Pat Griffith will share what is Chair Chi and how it was created. You will learn elements of Chair Chi including breathing techniques for seniors and why these techniques important and how they benefit the senior population; warm up and cool down (Chi gung) exercises and stretches for seniors. Pat will share information on what the exercises are, what parts of the body we will be working and how they benefit the senior population. Then there will be some demonstrations of the exercises, so plan to get involved as Pat goes over the Chair Chi form (dance), first through demonstration of the dance then through group participation. There will be plenty of time for questions and answers to explore how you can incorporate Chair Chi into your life enrichment program. Learn and demonstrate breathing techniques for seniors with COPD. Apply Chi Gung warm up exercises in a group exercise setting. Apply Chair Chi form through participation in Chair Chi dance. 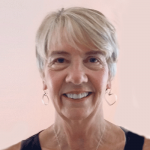 Pat Griffith is a certified Tai Chi Chuan instructor and founder of Chair Chi. 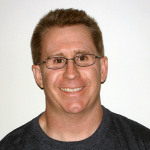 He has been teaching at health clubs, senior and wellness centers and senior living communities since 1997. Culture change starts with the heart. This session begins with visual art, music, and spoken word to crack open hearts and engage ways of knowing outside of cognition. From this open space, participants will explore a counter perspective to mainstream notions about dementia as only a disease to be cured. Participants will also discover how to cultivate their own Elderhood by learning from those who live with dementia; and how cultivating Elderhood at every age alleviates suffering for both people experiencing cognitive change and their allies. List two qualities of a holistic perspective of dementia. Identify two aspects of the concept of life cycle development, as it relates to the participant’s life. Name two things that people living with dementia have taught the participant that changed their world view. 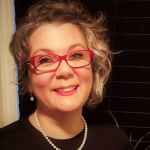 Kyrie Carpenter is radically pro-aging and dementia positive, with a passion for working with people experiencing dementia, their allies and supporting organizations through coaching, consulting and speaking. Her passion for story led to a career in film, studies in Depth Psychology, and ultimately her work with aging. For the last two years, she has been performing in Dr. Bill Thomas’ nationwide ChangingAging tour. Prior to this, she worked with elders living in long-term care in San Francisco. In 2015 she traveled to all 50 states living in a van; the culmination of which was founding a wellness center, Prosper. Kyrie has a blog, and Huffington Post and ChangingAging and recently published her first book Healing Dementia. She holds a Masters in Counseling Psychology and wrote her thesis on the Anti-Aging myth in America. Hiring Staff, It’s the Elders Role! No one ever thought we would be celebrating with our elders the 10-year anniversary of our Resident’s Interview Committee, but we did! Residents have the right to say who will be caring for them and this practice has empowered them to make this very important decision. This interviewing and decision-making process has empowered the residents, opening new and unexpected doors of opportunity, as well as improving communication and respect between residents and staff. This group of residents has stepped up and become true pioneers in the culture change movement. Come learn about their experiences through this 10-year journey. Attendees will leave the session with a list of potential questions they can use to start interviewing staff right away. This session will motivate attendees to make the ultimate management reversal decision and practice culture change at the core of its organization by residents to hire staff. Attendees will understand that giving up control of the hiring decision will benefit the overall relationship between staff and residents. This session will show examples that will teach participants the uniqueness of this practice and the process in which to begin the transition to residents making the choices of new staff, and most importantly, how to maintain this practice for years to come. Becky Haldorson has worked in the field of long term care for over 30 years, beginning as a CNA. She currently serves as the Administrator of Sunny Hill Nursing Home of Will County in Joliet, IL where she promotes the care of elders in a person-centered community. She is also a founding board member and past president of the Illinois Pioneer Coalition. She has shared her experiences of change through presentations throughout Illinois, at national conferences and to corporate leadership meetings. Becky holds a Master’s Degree in Health Care Management and has received recognition in her field for her culture change efforts. Hospitality is seen as the answer for senior living. Many organizations are investing significant resources into developing hotel and resort-based models of care and service without understanding the pitfalls of this model and the ways in which it can actually undermine our efforts toward fighting loneliness, helplessness and boredom. This session will focus on the importance of community building as a counterbalance to the messaging we are hearing about hospitality. Participants will learn to see hospitality as one piece of the puzzle and understand how to use it in a balanced way that builds community, creates a sense of home, and encourages independence and purpose. Name two ways that the hotel service delivery model contrasts with the goals of person-directed care. Most, if not all, providers are aware of the requirements to have in place an Emergency Operations Plan. Was this plan prepared in consideration of those you serve or did you simply write a policy or procedure to comply with regulation? This session will help you take your plan to the next level by creating a plan that is sensitive to each resident’s concerns and their family’s expectations while taking a proactive look at tools and solutions that may mitigate emergency operational errors. Define elements of an Emergency Plan that are inherently non-person-centered. Define specific tasks that will encourage resident involvement in preparation, training and review of the Emergency Plan. Jeffrey Ahl is Owner and Principal of acCuretecture, a full-service architectural firm providing personalized consulting services to clients with an emphasis in senior housing. His primary responsibilities include program, project and client development, project design and management from inception through construction. By combining decades of experience, research and passion for seniors, the firm has positioned itself to work directly with clients who want to design, construct and operate “CURE” homes. A CURE home provides each elder with a Place to call home that incorporates a Plan for change in care, to Live in privacy, be Active, Comfortable, and Embrace technology. Jeffrey has been associated with more than 120 senior housing projects, in 15 different states, providing housing to more than 5,000 people. In addition to providing architectural design services for new and reconstructed housing, Jeffrey provides basic consulting on culture change, master planning, ADA compliance and project cost analysis. While working for the State of Nebraska Jeff implemented the “CURE initiative” at one of the nation’s largest Intermediate Care Facilities for individuals living with developmental disabilities. DeAnn Larson is Project Coordinator for arCuretecture where she has embraced the process of building positive client relationships and has worked hard to become an expert in coordination of the development of Emergency Operation Plans for clients. 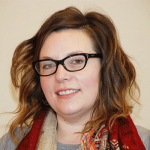 She is consulted regularly as a result of her in-depth knowledge of the requirements related to Emergency Planning and recently presented on the topic of Emergency Operation Planning for LeadingAge Nebraska. During this presentation, you will learn about the statistical data related to the prevalence and effects of Domestic Abuse and Aging Adults. The speaker will elaborate about the types of abuse, its effects, whether the abuse occurred in childhood, early adulthood or is more recent victimization. The Common Effects and Identification for Domestic Violence for aging adults will be discussed. Additionally, once identified as a recipient of victimization, supportive strategies and resources that care staff can use when a resident is identified as a recipient of victimization will be shared. Finally, identification may not always come from a resident or patient and how do caregivers and staff approach the situation helping with safety while protecting the older adults’ self-determination. Participants will learn the prevalence of domestic violence and older adults. Participants will gain knowledge about types of elder abuse and risk factors increasing the likelihood of victimization of older adults. Participants will learn strategies for approaching a situation in which there is elder abuse by a family member. Cynthia Baker and her Clinical Behavioral Health Teams work collaboratively in Long Term Care Communities alongside Nursing, Social Services, Activities, and Leadership to provide the highest standard and treatment for Behavioral Health issues. When onsite at Long Term Care Communities, the focus is on the person/patient being treating for depression, anxiety, grief/loss that can result from loss of independence, loss of family, mobility, or loss of memory. The support the behavioral health teams provide includes cognitive behavioral therapy, memory-based interventions, Validation, and Consultation and Assessment. The new CMS Rules have propelled their work in mental health to be more visible, and with goals for Medication Reductions, Person Centered Care, and increased Quality of Life for residents with Dementia, their work as Licensed Behavioral Health Specialists is the new normal and an excellent support for Residents and a Collaborative relationship for the Physician and other Care Staff members. Culture change requires a transfer of ideas. Through different understanding gained from new ideas, individuals can shift to an alternative way of thinking. It has been our experience that thoughtfully orchestrated intergenerational dialogue facilitates an honest and non-judgmental exchange of perspectives, and often results in a participant adopting different values and beliefs. In this session, the presenters will describe their approaches to this type of conversation, including planning, participant preparation, facilitating the dialogue and follow-up. Three case studies will illustrate the approaches. Through discussion and interactive exercises, attendees will adapt the material for their needs. Attendees will discuss the need for and nature of guidance for intergenerational dialogue, and modify discussion results to apply to their specific interest. Concerned that busy nursing assistants attended to physical needs without really knowing the individual, Nancy Weber Sutter wanted Nursing Assistants to get to know and understand the residents they served. Through resident and family interviews, NAs were encouraged to write down residents’ life stories and then present and celebrate these rich life stories with staff and families. This was the beginning of a long career in service to elders and gerontology education, informed by the understanding that to be of true service to another, one must understand, respect and be directed by the individual served. After ten years of nursing home administration, Nancy joined an organization with a core value that each person is a valued individual. For the next fifteen years, she was part of a team that developed Continuing Care Retirement Communities. To add wisdom and individual perspectives, older people were part of community development every step of the way – from selecting the site and designing the facilities, to selecting the Executive Director. Nancy is now a professor at two PA colleges, educating current and future Human Service practitioners. For 20 years, William Benson ran a consulting business in aging and public health. Clients include a broad array of government, non-profit and business entities. Much of his work is devoted to public policy, as well as many dimensions of elder rights. Mr. Benson is also the co-founder of the International Association for Indigenous Aging (IA2), focused on AIAN elders, which pioneered “1,000 Grandmothers” concept in which Indian women elders mentor younger people about various issues facing Indian country such as sudden unexplained infant deaths. Giving and being open to receiving feedback is at the heart of a trusting and dynamic workplace. But is not so easy to give or receive. As leaders working towards a highly relational culture it is critical that employees get timely, useful feedback about their work. At the same time leaders need to seek out feedback about how both they and the organization is doing to meet its goals. Real time feedback creates readiness for all staff to feel high involvement and engagement. This session will explore how to give and receive with opportunity to practice with personally relevant examples. Anna Ortigara has had the honor and fun of being deeply immersed in cultural transformation since the early 1980s. Initially it focused on transforming dementia care in three key areas, meaningful life and engagement, environments that support abilities and strengths, and staff education for effective care partnerships. She then became involved in work around empowering staff (nurses and direct care staff), initially through her work at The Green House Project, and now at PHI which focusses on empowered workforces through coaching leaders. Also active with Pioneer Network, Anna has attended every conference since the first one in Rochester (except the cruise year). 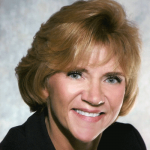 Sue Misiorski served as VP at Apple Health Care and at Genesis Corporation where she led deep culture change in care practices across the organization’s nursing homes. Co-founder and first president of the Pioneer Network, she has worked to achieve culture change through work with a wide range of long term care organizations continuing up to this time. In order to ensure that people living with Alzheimer’s or related dementia are receiving high quality care that is based on the most up to date, peer reviewed evidence, the Alzheimer’s Association’s new Practice Recommendations will be released in a special supplement of the Gerontologist in February 2018. The topic areas are person-centered care, detection and diagnosis, assessment and care planning, medical management, information, education and support, ongoing care, staffing and therapeutic environment and safety and transitions and coordination of care. This session will provide an overview of the recommendations and discuss how they can be used to increase the quality of care and quality of life for people with Alzheimer’s and related dementia. Attendees will understand the importance of evidence based, peer reviewed recommendations for health care professionals across the continuum of long-term services and supports for people with Alzheimer’s and related dementia and the importance of person-centered care to ensure that people live well throughout the disease progression. Attendees will gain an understanding of each of the topic areas of the new Dementia Care Practice Recommendations and how they can be applied in all settings of long-term services and supports for use by health care professionals. Attendees will increase their knowledge about the latest facts, figures, and current research initiatives and programs for Alzheimer’s and related dementia. Doug Pace is the Director of Mission Partnerships with the Alzheimer’s Association. In this role, he provides strategic leadership with government and other organizations to enhance the Association’s influence in the area of dementia care. Previously, Doug was the Executive Director of the Advancing Excellence in Long Term Care Collaborative (AELTCC). The AELTCC’s major initiative is the Advancing Excellence in America’s Nursing Home Campaign, a national campaign to improve the quality of life and quality of care for the country’s 1.5 million nursing home residents. 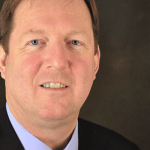 Prior to AELTCC, Doug was the Executive Director of the Long-Term Quality Alliance (LTQA). Before joining the LTQA, Doug was the Director of the Long-Term Care Solution Campaign at Leading Age in Washington, DC. He returned back to Leading Age in March 2008 after 18 months as the Executive Director of the National Commission for Quality Long-Term Care at The New School in New York, NY. Before joining the Commission, Doug was the Vice-President for Culture Transformation and the Director of Assisted Living and Continuing Care with Leading Age. Prior to joining AAHSA in June of 2001, Doug was the President of Leading Age Tennessee in Nashville, TN. Doug is a licensed Nursing Home Administrator, and before joining LeadingAge TN, he ran a multi-level community serving 210 residents in levels of living that included SNF, NF, a secured Alzheimer’s unit and assisted living. Dr. Fazio currently works in the Program Team where he oversees quality care standards and social/behavioral research initiatives. Prior to working for the Alzheimer’s Association, Dr. Fazio worked for Rush Presbyterian St. Luke’s Medical Center at the Alzheimer’s Family Care Center, an adult day center specifically designed for people with dementia. He has worked in the field of aging since 1987 and has a broad range of experience, including research, leadership and management, working with older adults and families, and direct care. Dr. Fazio has presented both nationally and internationally as well as published several journal articles and book chapters. Dr. Fazio is the author of The Enduring Self in People with Alzheimer’s: Getting to the Heart of Individualized Care and the co-author of the book Rethinking Alzheimer’s Care. Rehabilitation settings in LTC present a challenge for person-centered dining. These individuals see themselves as patients, clients or guests, not residents, and their goal of healing and going home. While person-directed care remains a goal, for many of these individuals a diet pattern consistent with disease control or secondary prevention is desirable. The two diets most often requested are “cardiac” and “diabetic”. In this presentation the current evidence-based research on these diet patterns will be discussed. A system of taking a therapeutic diet and transforming it to a “menu option” will be presented. The experience with a Heart Healthy Menu at Providence Mt St Vincent will be shared. Discuss two most common therapeutic diets ordered in rehab and compare the diet needs of LTC and Rehabilitation. Discuss the benefits of a menu over a “diet”, learn how to create a menu option and understand why a menu option is more person-centered and less likely to result in an F-tag. Describe how to decide when therapeutic diet restrictions are necessary in LTC sommunities and the steps that are necessary to successfully support informed choice for restricted diets in LTC communities. Janice Raymond is currently the Clinical Nutrition Director for Thomas Cuisine at Providence Mt. St. Vincent in Seattle and is affiliate faculty at Bastyr University. She is a Certified Specialist in Geriatrics with the Academy of Nutrition and Dietetics (AND) and was recently appointed the official AND liaison with the Pioneer Network. Janice has held positions in research, critical care, home infusion, long term care and management. She has been active in her profession and has held both elected and appointed positions at a national level and local with the Academy of Nutrition and Dietetics. Janice has been an invited lecturer locally, nationally and internationally. Her writing credits include numerous journal articles and book chapters. 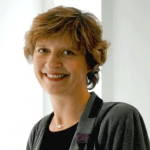 She is the co-editor of the textbook, Krause’s Food and the Nutrition Care Process, 13th, 14th and 15th editions. Diane Hall is a Registered Dietitian and licensed nursing home administrator with thirty years’ experience in senior nutrition within the LTC industry. She is a consultant and nationally recognized speaker/advocate for the new dining standards that have resulted from the shift in the culture of long term care. Diane dedicates her expertise to preventing and reversing malnutrition in older adults. Not too many years ago, the focus of oral care for older adults was all about denture care, but with the improvements in dental health over the years, we are seeing fewer older adults with dentures and more who have their own teeth throughout their lives. In this session, the guides will enhance participant knowledge of oral care, review health-related issues resulting from poor oral care, present barriers and facilitators to oral care protocol implementation, and lessons learned in this quality improvement project. The project purpose was to address the following question: How does education and implementation of an evidence-based oral care protocol impact staff knowledge of oral care and adherence to the oral care protocol? The protocol sought to mitigate challenges to optimal oral care delivery by educating direct care staff and provide person-centered approaches for residents who are resistant to care. Beth Ann White is an assistant professor at The Pennsylvania State University. Beth Ann has sought educational opportunities to facilitate the development of her career as a nursing professional and leader. In 1998, she completed a Bachelor of Science Degree in Nursing which fostered her transition as a nurse manager. As her managerial and leadership skills developed, her career evolved into that of a regional manager. She was responsible for the implementation and oversight of medical homes in multiple primary care offices and local communities. In 2005, she continued her education to achieve a Master of Science Degree in Nursing as an adult nurse practitioner. She began working as a certified registered nurse practitioner in a skilled community providing acute, chronic, rehabilitative, and palliative care services. Beth Ann was appointed advanced practice champion for the skilled nursing communities program in her organization, where she collaborates with peers and senior leadership on quality care initiatives for elders and inter-disciplinary collaboration to promote person-centered care. Improving quality care to elders is her primary focus. Currently she is a professor and mentor to undergraduate nursing students. She served as a mentor to many nurse practitioner students pursing master’s degrees in adult gerontology. Amy Collins has worked in a long-term care community for many years. Initially starting as a licensed practical nurse, for personal enrichment and encouragement from her peers, she returned to school to complete the requirements for registered nursing. Amy was promoted to unit manager in the community and later to assistant director of nursing. Noting the need for continued education and enrichment, Amy has brought education and competency training to the staff annually, has been involved in process improvement projects, and most recently was promoted to the director of nursing. Amy is a valued employee who works “in the trenches”, is valued and respected from all levels in her organization, and has insight for staff enrichment and development to meet increasing care needs. 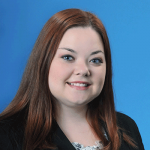 Amy is active in enhancing community involvement with the long-term care community. She recently organized a Christmas in July 5K fundraiser for the proceeds to benefit the residents. Amy gives selflessly of her time and talents to all the people she serves. She is a true resident and employee advocate. Learn how the brain responds to music and the health and wellness needs that can be achieved by providing music services, a non-pharmaceutical intervention. Four categories of music services will be discussed: Live Music Attendance, Music Activities/Ensembles, Personalized Recorded Music Listening and Music Therapy. Participants will review the American Music Therapy Association’s Music Listening Guidelines, learn how to develop a music plan of care, including personalized music listening, and when to consult with or refer a resident/client to a board-certified music therapist. Define how music affects the human brain and how this applies to using music as therapy. List available music resources and how to create a music plan of care. Identify how music meets the requirements of both Personalized Care and Value Based Care. 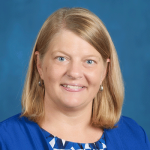 Erin Spring currently serves as the co-chair of the American Music Therapy Association Workgroup on Music Listening and co-chair of the Ohio Music Therapy State Licensure Task Force. She is a practicing board-certified music therapist and founded Central Ohio Music Therapy, LLC in 2010 serving central and southeast Ohio. 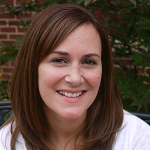 Erin served as adjunct professor and currently provides supervision services to the Ohio University Music Therapy Degree Program. She provides presentations and in-services to facilitate the use of music programming and music therapy services to meet healthcare and wellness goals. Erin believes every person has the right to access their preferred music and encourages the inclusion of music preferences in advanced directives. CMS regulations have supported not using alarms all along but now even more so citing research of the harms of alarms. This is why the new CMS Physical Restraints Critical Element Pathway survey tool now prompts surveyors to observe for alarms and their potential negative consequences to residents. Learn how the use of alarms is deficient practice at seven CMS requirements. Although no research shows that alarms prevent falls and there is evidence that alarms cause harm both physically and psychologically, they are still used widely. Replacing alarms with better practices has actually reduced falls in the homes that have committed to no longer use them. Learn the reasons why, and how to replace alarms with these better practices used by alarm-free homes around the country: honoring sleep, open dining, mobility, checking in with residents more often by nursing staff and by all staff, and meaningfully engaging residents with real life. Be ready for these changes and with these practices during your next state survey. Participants will be able to list the very few pros and the very many cons of alarms. Participants will be able to describe how alarm use could actually be cited as deficient practice at least seven regulatory requirements. Participants will be able to identify the better practices to reduce falls than alarms. 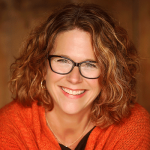 Carmen Bowman is a consultant, trainer, author and owner of Edu-Catering: Catering Education for Compliance and Culture Change turning her former role of regulator into educator. Carmen was a Colorado state surveyor for nine years, a policy analyst with CMS Central Office where she taught the national Basic Surveyor Course and the first certified activity professional to be a surveyor. As a contractor to CMS, Carmen co-developed the Artifacts of Culture Change measurement tool, authored the background papers for and facilitated both Creating Home national symposiums sponsored by CMS and the Pioneer Network. She facilitated the Pioneer Network Task Forces that developed the new Dining Practice Standards and subsequent Toolkit. She serves on the Pioneer Network Policy committee which meets with CMS Division of Nursing Homes quarterly. She was invited to give comment on draft CMS regulations by Pioneer Network and the Eden Alternative. She co-authored The Power of Language to Create Culture, Eliminating Alarms and Preventing Falls by Engaging with Life, and facilitated the first Surplus Safety Symposium. 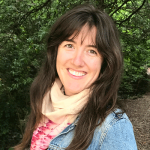 Carmen has a Master’s degree in Healthcare Systems, a Bachelor’s in Social Work and German, is a Certified Eden Associate and Eden Mentor, Certified Validation Worker, Group Practitioner and recently Presenter. She co-founded the Colorado Culture Change Coalition, and with Action Pact has authored eight culture change workbooks plus hosts a monthly web culture change talk show called Conversations with Carmen. Currently she is writing her ninth book for Health Professions Press Changing Culture with Little Worry about Money or Regulation. Community Care Teams (CCT) are an innovative neighborhood based interdisciplinary teams facilitated by a mental health professional and directed at the creation of person-centered behavioral support plans for residents living in skilled or assisted living settings. Participants in this session will engage in a simulated CCT as they review the life history and clinical data of an imagined resident and experience the intensive team process of developing a creative plan of care designed to maximize function and promote well-being for the residents who may be experiencing behavioral, mental health or adjustment issues and/or could benefit from support to encourage growth and flourishing. Throughout her career, Kelly Carney’s mission has been to enhance quality of life and facilitate flourishing for those at risk for and/or affected by dementia. She strives to achieve this goal by enhancing the care and services available to older adults by supporting the caregivers who care for them. Through the course of her work in long term care, Kelly has characterized Community Care Teams and her other work with professional caregivers as “grass roots culture change”, as her interventions are designed to empower and inform staff at every level to provide person-centered, compassionate care to their residents. 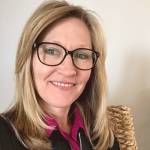 Focusing primarily on fostering relationships between elders and their caregivers, Kelly promotes compassionate conceptualization, communication and creativity to ensure person-centered care delivered by empowered, educated caregivers. To this end, she has engaged in the development of innovative models of dementia care, research, and publishing, as well as offering consultation and training to aging service providers interested in elevating their memory care services. Ultimately, Kelly brings the skills and insights of psychology and relationship building to bear in long term care in a manner that is intended to improve the lives of residents, family members and the staff who serve them. Tammy Marshall, Chief Experience Officer, The New Jewish Home. This session will focus on the intersection between the health care and hospitality sectors to advance culture change and the elder experience. Ways to directly impact the elder experience and workforce engagement as well as how to use social media to improve care and inform consumers will be discussed. Define what it means to be in the Experience Era in Healthcare and connecting it to the “why” of the work we do. Name metrics and measures that the industry is using to capture the elder experience. List ways in which providers and care partners can directly impact the elder experience. Tammy Marshall is Chief Experience Officer for The New Jewish Home in New York. In that capacity, she is responsible for the development and implementation of the organization’s person-directed care philosophy and staff development work. Tammy led the launch of the organization’s first small house model of care in Westchester, NY. 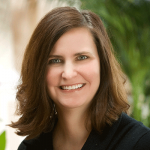 Stacy Palmer is Senior Vice President for The Beryl Institute. With a commitment to gather, understand and integrate insights and ideas from The Beryl Institute community, she has helped establish a resource library of proven practices and research sharing how healthcare organizations around the globe are creating positive experiences for patients, family members and caregivers. Mel Coppola, Founder and President, Hearts in Care, LLC. Just like the Elders who come to our organizations at their most vulnerable, culture change cannot thrive in organizations where fear and distrust rule. How did we get to a place where people at the very bottom of a top-down hierarchical organization are expected to give kind, compassionate, loving care to Elders, when trust is rarely found or fostered among them? This session will explore trust as a foundation for creating a person-directed care culture. Participants will come away with tools to build trust and create an action plan for fostering trust in their organizations and communities. Discuss how a culture of trust can foster empowerment, a key goal of person-directed care. Define trust and discuss its importance in personal relationships as well as organizational relationships. 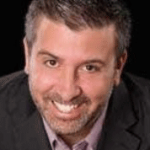 Mel Coppola, President and Owner of Hearts in Care, LLC, is a passionate and motivational presenter, team builder, facilitator, educator and consultant in the field of aging and care. Through presentations, articles, coaching and trainings to organizations across the spectrum of care, Mel spreads the word that aging and care CAN be different, no matter someone’s cognitive and/or physical abilities. 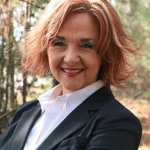 In addition to being an active Eden Educator and Mentor, she is a Florida licensed Assisted Living Administrator and serves as on the Executive and Steering Committees for Florida Pioneer Network, the state’s culture change coalition. If we are to transform systems so that people have lives of their choosing in their own communities, we must explore personal preferences in the context of individual needs. Systems where support is offered to maintain (and develop) the web of relationships that defines community. For working age adults, we want employment to be the norm and not the exception. Everyone who is receiving services should have informed choice about: where they live; who they live with; what they do with their time; what they do with their resources; and who provides the services to support the choices that are made. Tanya Richmond is a Partner with Support Development Associates LLC (SDA), a for profit agency based in Annapolis Maryland, has more than forty years’ experience in the development, deployment, and implementation and evaluation of person centered tools and practices, across 48 states in the U.S, and in the UK, Europe, Australia, and Canada. Partners and associates have worked with more than 20 states and the Disabled and Elderly Health Programs Group (DEHPG) of the Centers for Medicare &Medicaid Services (CMS) headquarters staff to identify and clarify the intention and purpose of person centered practice and the role it plays in future system changes. Michael Smull was the lead in developing the curricula used by the Learning Community for Person Centered Practices to develop Essential Lifestyle Plans (1989) and to teach Person Centered Thinking skills (2001 forward). He has also developed curricula for people with significant behavioral issues to develop their own plan and the 1st version of planning for families to use in developing plans with their loved ones. He has been teaching how to develop and implement person centered plans since 1990. Michael was also instrumental in training ACL staff on person centered practices during the development of the CMS Final Rule. 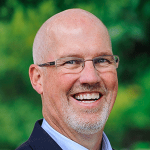 Bob Sattler is an SDA Partner, Person Thinking Mentor Trainer and People Planning Together Mentor Trainer. Coming from the Direct Service world he has over 30 years experience and understanding of service delivery, working at the county and state level to partner with the system on improving services and supports to people with intellectual disabilities, behavioral health and criminal justice needs. He has been with SDA since 2007 and worked in 23 states. Therapeutic environmental design is an important factor in maximizing the ability of individuals with dementia. Care partners recognize what residents need to maintain function and the positive effect of environment in daily life, thus therapeutic design can be enhanced by the involvement of care partners in planning and maximizing the utilization of the environment. This session will address the partnership between environmental supports and care partners using best practices from the new 2018 Dementia Care Practice Recommendations. Specifically, this program will address best practice recommendations essential to creating supportive and therapeutic environments and creating a culture of care partner engagement. Discuss how to integrate person-centered values with specific environmental supports of individuals living with dementia and their care partners. Define the role of care partner education, preparation and inclusion and how this philosophy promotes person-centered care and operational success. Dr. Calkins is nationally recognized as a creative, dynamic leader, trainer and researcher in the field of environments for elders. A member of several national organizations and panels which focus on issues of care for cognitively impaired older adults, she is a highly sought-after speaker for conferences in the US and abroad. She has published extensively, and her book Design for Dementia: Planning Environments for the Elderly and the Confused was the first design guide for special care units. Creating Successful Dementia Care Settings — a four volume series– addresses the care setting in a more holistic manner, combining physical, social and organizational issues in to one comprehensive text. Dr. Calkins has partnered with Pioneer Network, The Green House® Replication Project and Planetree. She was a founding member of SAGE- Society for the Advancement of Gerontological Environments, and is on the Editorial Board for The Gerontologist, Journal of Housing and the Elderly, Journal of Clinical Psychology and Health Environments Research & Design Journal. As a leader in the transformation of change in culture in our community I have struggled with how to help staff to “get it” referring to culture change. While many individuals used the term person centered care, no one was able to develop a deep understanding of person centered care because no one knew what it was like to be a dependent resident in long term care. I changed that when I asked my staff to move into the nursing home and live like our residents live. Join me to hear the lessons we learned by living like our residents live. Attendees will evaluate how to set up an empathy program that will fit their long-term care community. Attendees will discuss areas of needed improvement and make a plan for change. Attendees will name the effects of ‘institutionalization’ on us psychologically and physically. 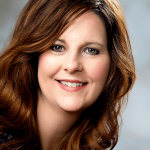 Leslie Pedtke is the owner and Educator for Quality Improvement of King Management Company. She has 22 years of experience as a nursing home administrator. During that time she developed an empathy program, Through the Looking Glass. She is an author for Health Professions Press, What Living as a Resident Can Teach Long Term Care Staff, which details the Through the Looking Glass program. Leslie is the past board president of the Illinois Pioneer Coalition. She is an advocate for person directed care and has presented on related topics for Pioneer Network, Illinois Pioneer Coalition, Illinois Health Care Association, Illinois Nursing Home Administrator Association, Wisconsin LeadingAge, MC5 and Missouri Health Care Association. 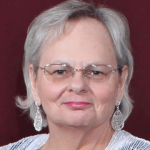 Leslie holds a BA degree in Speech Communication from Southern Illinois University at Carbondale. A 1-hour webinar on this topic has been recorded by Guide Susanne Matthiesen and is available to conference attendees. Evidence supports positive outcomes resulting from meaningful engagement of older people in their environments of choice. This interactive session will explore how functional-based therapeutic activities can be more effective and meaningful than impairment-based therapy. And through collaboration with the healthcare team, we can each work to optimally increase each resident’s function in their home. Participants will learn person-centered techniques for seeking individual preferences to encourage resident choice and control over their own activities. Techniques and resources will be shared to best assure the person-centered care, training competencies and cultural factors, for the successful compliance in the LTC Rules of Participation. List functional-based therapeutic interventions that are being utilized to promote meaningful lifestyles in each elder’s home… in their own world. Apply person-centered strategies to requirements of participation that require resident preferences. State the results of how the functional rehab approach can lead to higher outcomes per diagnostic category. 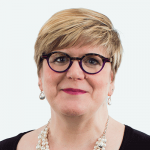 Over the last 30 years, Lisa Milliken has served older adults as a clinician, manager, vice president, consultant, education director and researcher and is most passionate about mentoring healthcare professionals in the area of resident advocacy in post-acute settings across the country. She currently provides continuing education support to therapists in over 950 sites nationwide as Director of Education for Select Rehabilitation. Lisa serves as an American Speech Hearing and Language Association’s State Advocate and has presented over 100 courses at the regional and national levels. She has served as the Louisiana Speech and Hearing Association Board President, is a past member of the Council of State Association Presidents and now serves on the Texas Speech and Hearing Associations Executive Council as Chair of the Business Management Committee. She has also recently been honored as a Distinguished Fellow with the National Academy of Practice. Lisa has spent the last 2 years reviewing evidence-based research on successful aging to include direct training from workshops by the authors and physicians who developed Masterpiece Living, based on the research by the MacArthur Foundation. 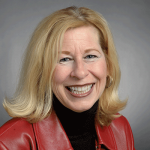 She is a recognized speaker in the areas of regulatory affairs, documentation, healthcare leadership, polypharmacy, person-centered care and successful aging. A 1-hour webinar on this topic is being recorded by Guide Vickie Burlew and is available to conference attendees. Too often caregivers learn about a person at their Memorial Service, information they wished they could’ve used to engage that person and improve their care. Studies show that life story telling of those living with Alzheimer’s and dementia can create empathy, reduce depression and improve quality of life. Current information collection and dissemination is uneven and inefficient. We will look at the power of narrative and how best to collect it and use it. Everyone has a story to tell, not everyone can tell it. Discuss and understand the research that supports the value of life story telling. Compare and contrast current DIY questionnaires versus person-to-person interviews. Evaluate the power of narratives and how they can impact care. Jay Newton-Small is founder of MemoryWell, a national network of more than 425 journalists who tell the life stories of those living with Alzheimer’s and dementia in order to improve their care. Previously, Newton-Small was Washington correspondent for TIME Magazine, where she remains a contributor. At TIME she covered politics as well as stories on five continents from conflicts in the Middle East to the earthquake in Haiti and the November 2015 Paris terror attacks. She has written nearly a dozen TIME cover stories and interviewed numerous heads of state, including Presidents Barack Obama and George W. Bush. She authored the 2016 best-selling book, Broad Influence: How Women Are Changing the Way America Works. Before TIME, Newton-Small was a reporter for Bloomberg News, where she covered the White House and politics. Newton-Small received an M.S. in journalism from Columbia University and undergraduate degrees in International Relations and Art History from Tufts University. She is a 2017 Halcyon Incubator fellow, a 2016-2017 New America fellow and a 2015 Harvard Institute of Politics fellow. She is the 2016 winner of the prestigious Dirksen Award for congressional reporting and the 2016 Deadline Club award for community service reporting. Juliet Holt-Klinger holds a BA in Social Work and a MA in Gerontology and is a recognized leader in Assisted Living and Memory Care. In her role as Senior Director of Dementia Care Program Development for Brookdale, Juliet currently designs and innovates care pathways and programming for Brookdale’s 500+ dementia care communities. Brookdale’s dementia care solutions span from its newest early-stage dementia care communities to skilled nursing and assisted living levels of care. In this session, ways to use the arts to respond to the needs of the spirit in any setting will be explored in depth through a variety of inspiring examples. The presenter will show video clips from the Age Stage, a two-day show at an international gerontology conference in which elders demonstrated the fruits of their creativity in singing, dancing, painting, story-telling, and even a fashion show. Demonstrate the impact of arts programs on the wellbeing of elders. Explore ways to motivate initial and ongoing participation. Discuss programs that can be adapted to specific settings. 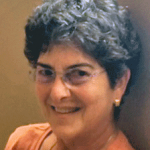 Wendy Lustbader is one of the co-founders of the Pioneer Network. She currently teaches clinical practice classes at the University of Washington School of Social Work: Family Healing, and two sections of Trauma and Recovery. She has been conducting trainings on aging throughout the country for almost thirty years to social workers, nurses, physicians, and other health professionals. Wendy was on the Workgroup at the International Gerontology conference (IAGG) that produced the Age Stage, an exploration of the benefits of the arts for the wellbeing of older adults. Lisa Chevalier, MSW has created an expressive arts program, Colibrì Arts, in coordination with a dance academy and a senior multipurpose center in Los Angeles, California. Lisa has consulted for almost 20 years in elder care, aging policy, community-based long-term care, and medical social work including hospice, home healthcare and hospital. 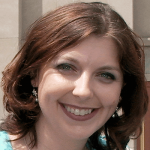 A graduate of the Luskin School of Public Affairs at UCLA, she has worked as a policy analyst at the Administration on Aging in Washington, D.C., consulted for The Medstat Group writing policy briefs on the States promising practices in community-based long-term care systems development, and served on federal grant proposal review panels. Lisa is a member of the Board of Directors at the California Council on Gerontology and Geriatrics and a member of the Board of Directors at the Debbie Allen Dance Academy in Los Angeles, CA. Most recently, she served as a member of the Humanities and the Arts Workgroup which created the Age Stage for the 2017 International Association of Gerontology and Geriatrics World Congress. Just as aging is individualized, so is the culture change journey within each community. No matter where you are on your timeline, opportunities for thoughtful improvement abound. Led by a Resident, Music Therapist and Director of Resident Services, this session tells how Shenandoah Valley Westminster-Canterbury is transitioning its way from the medical model to a resident-directed culture. This community’s uneven grassroots journey offers lessons that include a resident-led assessment, creative initiatives, helpful handouts and practical tools to inspire your thought process, whether just starting out or looking to accent elements of your transition. Describe how the thought process of culture change can be applied, even randomly, to various aspects of a community to propel its journey. Define examples of creative individualized approaches to inspire your culture change journey. Discuss handouts and other resources of value to the thought process journey of others. 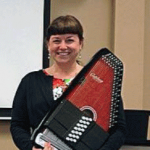 Abigail Amidon is the Music Therapist at Shenandoah Valley Westminster-Canterbury. In that capacity, she facilitates individual and group music therapy, leads the Interdisciplinary Dementia Inclusive Committee which examines the community’s strengths in interacting with and caring for people with dementia and improving upon dementia inclusivity and care within and outside the community. Abigail oversees the implementation of the Music and Memory Program at Westminster-Canterbury. 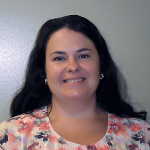 Donielle Weatherholtz-Palmer is Director of Resident Services at Shenandoah Valley Westminster-Canterbury. In that capacity, she oversees the social work, activities, music therapy, beauty salon, resident concierge and volunteer departments. Donielle leads the Diversity Committee at Westminster-Canterbury. She is also a committee member for the local Alzheimer’s Association and is an Advisory Committee member for the Shenandoah Area Agency on Aging. Robert Sherwood is a Resident at Shenandoah Valley Westminster-Canterbury. Bob spearheaded the resident-led assessment of quality of care conducted in 2010-11; obtained Board of Trustees adoption of the resulting report which was then incorporated into the community strategic plan for 2012-15 which resulted in the launch of Westminster Canterbury’s journey toward resident-directed culture. Bob served on the Pioneer Network Board of Directors for the last six years. The difficulty in Culture Change isn’t so much about making the decision, setting the initial goals or designing the map to get there; the challenge is sustaining the momentum once the journey has begun. For nearly ten years, Ontario’s Schlegel Villages has cast aside an institutional model of care to put living first. Through the creation of new team member roles, strategic investment in ongoing education and the consistent sharing of successes and failures, the organization works tirelessly to ensure Culture Change never fades from focus. This session will explore some of the ways others can do the same. Name key aspects of the Schlegel Villages approach to sustaining momentum in the culture change journey. Compare different culture change sustaining initiatives and practices from the perspectives of various stakeholder groups (i.e., resident, family member, team member, and leader). Identify different initiatives that can help with culture change sustainment from the perspectives of the attendees and to formulate a plan of action. 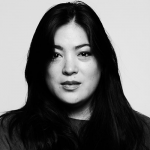 Long before Jessica Luh Kim ever heard the phrase, “Changing the Culture of Aging,” she inherently understood there were flaws in the ways society viewed supports for older adults. She set her education and career path on a trajectory to influence the enhancement of life for this oft-marginalized population, especially those living with dementia. She discovered the Pioneer Network not long before joining the family-owned long-term care and retirement operator Schlegel Villages as the Director of Education and Program Development. In the Pioneer Network, she found a wealth of knowledge and passion, which she helped spread throughout Schlegel Villages’ 19 communities across Southern Ontario. The programs she is proud to have developed from her role as lead educator help create strong, dedicated teams comprised of people with a clear understanding of the challenges older adults face and the opportunities they have to continue to learn, grow and contribute to their communities. Augustin James is the Assistant General Manager at the Village of Tansley Woods in Burlington, Ontario. He started his educational career in Stockholm Sweden with a B Sc in Diagnostic Imaging and he followed that with a B Sc Nursing. Augustin joined the Schlegel Villages family in 2009 as a Charge nurse, not long after arriving to Canada. Since then, he has taken on various roles across various Schlegel Villages including Assistant Director of Care and Director of Care. 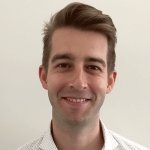 Augustin is an avid reader and he enjoys coaching emerging as well as new leaders. Being on the Culture Change journey, had already demonstrated that it is life enriching and not “routine orientated” and the vision is to be even more human centered and meet every individual wherever they are in their journey of life. Participants will evaluate the need for change in the current predominant model for dementia care. Participants will identify the benefits of developing community, connection and control through engagement. Participants will evaluate the need and potential for community, connection and control in their current setting. Mandy Shoemaker has been caring for people’s loved ones for the last 23 years. As a school principal and classroom teacher, she ensured the wellbeing of families, children, and now as the Co-Founder of Prairie Elder Care, she ensures the wellbeing of elders living with dementia. Mandy has a passion for changing the landscape of Dementia Care through the example of high quality person-centered care at Prairie Elder Care and through Now is Found the film and engagement model designed to minimize the stigma of dementia and give back community connection and control to those living with it. Mandy is a Certified Eden at Home Associate, and founded the first Memory Café in the Kansas City area. Mandy and her Co-Founder, Michala Gibson, are thrilled to be opening their dream community in April of 2018, The Prairie Farmstead. Mandy has earned a Bachelor’s Degree in Sociology, a Master’s Degree in Education, and has completed all of the required coursework for her Ed.D. in Educational Leadership. She has found a new passion for helping others in her work at Prairie Elder Care. Michala Gibson is a Registered Nurse with over 20 years of experience working in the senior care industry. After championing culture change and person-centered care in her work at several larger long term care communities in Kansas City as a Director of Nursing and Director of Staff Development, she and her sister-in-law, Mandy Shoemaker, founded Prairie Elder Care. At Prairie Elder Care, Michala has been able to create a culture of person-centered care from the very beginning. As a Certified trainer for Teepa Snow’s Positive Approach to Care, and a Certified Eden at Home Associate, Michala works continuously with the care partnering staff at Prairie Elder Care and within the community to ensure that elders living with dementia have the best opportunities for quality of life. Michala’s mission is to improve the lives of elders living with dementia through the example of high quality person-centered care at Prairie Elder care and through the film, Now is Found, an engagement model designed to minimize the stigma of dementia and give back community connection and control to those living with it. Michala has her Bachelors of Science in Nursing, is a Registered Nurse, and is an Operator in Kansas. LGBT older adults and caregivers are often marginalized and invisible across the health care continuum including long-term care settings. This invisibility creates a barrier to identifying and supporting the needs of LGBT older adults and their caregivers. This session provides an overview of the needs, concerns and unique history of LGBT older adults and an overview of special considerations for LGBT caregivers. Case scenarios will be utilized for small group discussions where attendees will discuss and identify issues experienced by LGBT caregivers and how to best support them including developing action for outreach and identifying community resources. Discuss unique issues experienced by LGBT caregivers and develop plans for outreach. 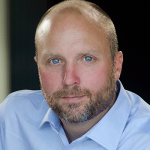 Tim R. Johnston, Ph.D., is the Director of National Projects at Services and Advocacy for GLBT Elders (SAGE). He is responsible for directing SAGE’s national training initiatives, developing training curricula and providing consulting services to both aging and LGBT service providers. In addition to training, Tim oversees key national grants and projects, such as SAGE’s National Resource Center on LGBT Aging, the US Administration for Community Living’s Senior Medicare Patrol Integration project, and elements of SAGE’s National LGBT Elder Housing Initiative. Before coming to SAGE, Tim taught Philosophy and Women’s and Gender Studies at Stony Brook University. He has written scholarly and popular articles on gender and LGBT identity, and his first book, Affirmation, Care Ethics and LGBT Identity was published by Palgrave Macmillan in 2016. Tim is a frequent speaker at national and international conferences and meetings. Join us for a dynamic, facilitated discussion on person-centered care and purposeful living in the following areas of service delivery: community-based services through the Program of All-Inclusive Care for the Elderly (PACE), nursing homes, and assisted living. When one must rely on a vast network of others – or “the system” – for care and services, individual autonomy and choice are too often in short supply. What does it mean to live a life of purpose, and how can we create an ordinary life for those who depend on such large, complex systems to provide individualized care? This session will invigorate your mind and inspire you to continue exploring the ordinary as way to promote quality, person-centered service delivery in your organization. Examine the value of everyday, ordinary life – what it means to have choice, autonomy, and person-centered service in long-term care. Learn about innovative approaches to advocate for purposeful, person-centered services and care via true tales from the frontlines of Ombudsman work. Evaluate and discuss areas for improvement within the continuum of long-term care service delivery systems. 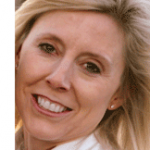 Leah McMahon is the Colorado State PACE Ombudsman and Vice President of the Colorado Culture Change Coalition. As an Ombudsman, Leah attended the Eden Alternative certification class and has utilized the knowledge to empower nursing home, assisted living and home and community-based care settings to utilize the Eden philosophy and approach with the people they serve. As the State PACE Ombudsman, Leah is committed to a person-centered and strength-based approach to advocacy as well as the mission of culture change. Jennifer Reeves is a Long-Term Care Ombudsman with the Denver Regional Council of Governments with more than 18 years of dedicated service in long-term care. Jennifer began her professional journey caring for individuals with dementia, and through this adventure discovered a passion for improving the lives of older adults. As an Ombudsman, Jennifer oversees a team of knowledgeable, compassionate advocates who promote Residents’ Rights in assisted livings and nursing homes. When she is not advocating directly for residents and their families, Jennifer can be found educating community and professional groups about the complex world of long-term care; occasionally, she can be heard on local radio talking about challenges and innovations impacting older adults. 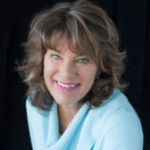 Jennifer is Eden Certified and is an accomplished speaker and presenter on many topics. Jennifer lives to learn and share with others, and firmly believes that knowledge is power for all. The care professionals working most directly with the elders are critical to the successful provision of care to older adults who choose to remain in their community as they age. Despite the importance of these direct care professionals to the safety and quality of life of clients, they often perceive themselves as undervalued. This workshop will help attendees to create a workforce culture of caring within their own organization. Focusing on the development and support of their direct-care workers, organizations can improve recruitment, retention, and the quality of care provided. Participants will be given tools they can use to tackle their workforce challenges and begin to move towards a culture of caring. A guide will be provided including instructions on how to conduct an assessment to determine the current challenges facing their front-line workers and suggestions for how to use this information to make adjustments to current practices. This guide also provides discussion information members of leadership can use to structure their thinking about what changes could be made internally to improve front-line jobs and better support these workers. Describe the challenges facing front-line workers, especially issues of supply and demand, turnover and satisfaction rates. Discuss the factors associated with turnover and poor job satisfaction for front-line workers. Identify strategies participants can implement within their organization to develop a culture of caring and invest in the development of their workforce in order to increase retention among their front-line staff. 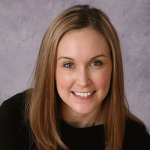 Hayley Gleason, MSW, MS, is the Assistant Director of the Home Care Aide Council, a non-profit trade association for home care agencies throughout Massachusetts. 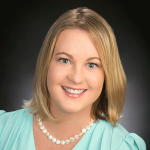 Hayley oversees the Home Care Aide Foundation, whose mission is to support evidence-based training, curriculum development, and research initiatives to enhance the home care aide workforce. As both a social worker and researcher, Hayley is committed to improving the jobs and lives of direct care workers. Using a workforce development framework, she advocates on behalf of the workforce to illustrate how investments in them can benefit the larger organization and the care received by individual consumers. 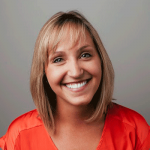 Hayley holds her MSW from the University of Michigan where she was a McGregor Fellow in Geriatric Social Work and an MS in Gerontology. She is currently a Doctoral Candidate in Gerontology at UMass Boston where her research focuses on the recruitment, retention, training and supervision of the home care aide workforce. This session will showcase an innovative volunteer program for persons with middle to final stages of dementia. Participants will leave with a blueprint of how to develop a community of volunteers based upon competence and compassion. Outline steps required to create a volunteer program for residents with middle to final stages of dementia. Illustrate how values of community and compassion are translated into training and volunteer practice. Recognize benefits and challenges in sustaining volunteer program. The purpose of this session is to give real life examples of how the communities at Schlegel Village are driving culture change in Long-term Care despite ministry regulations and public perception of what LTC should be. We want to break down the belief that LTC is where someone comes to merely live out their last days and instead we want to highlight how residents are living life to the fullest every day. The participant will gain an understanding of how to change the culture of a community through engagement, intergenerational programs, outings and other programs. The participant will gain an understanding of how residents can give back to the community. The participant will discuss how they can bring these programs to their communities. Emmanuel Erum (Noel) is a Full-Time Recreation Aide for the Village at St. Clair, Schlegel Villages, who graduated from Seneca College with a Recreation and Leisure Services Diploma. He is currently an integral part of the Culture Change Initiative taking place in the Village at St. Clair. As the Chair of the Village Advisory Team he has helped implement and facilitate programs such as The Annual Culture Change Camp Out, Schlegel Village Olympics and The Intergenerational Programing with local high school Students. Within a short period of time Noel has managed to excel in many different areas at the Village of St. Clair. Noel is a graduate of the Leadership in Retirement LTC course and has successfully completed the Palliative Care in Retirement & LTC instructor Program. With his big smile and heart on his sleeve he was also honoured to accept the “Play with your Customer” award. Candace Manwaring is a neighborhood coordinator (NC) at The Village at St. Clair. 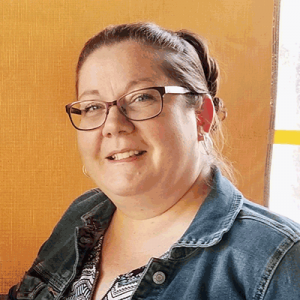 She started her career as a Personal Support Worker (PSW) in a retirement community and once she learned what Schlegel Villages was all about she was inspired by the mission, vision, and values so she applied for a PSW role at The Village of Aspen Lake. Candace worked at Aspen Lake for 3 years on a neighborhood with many persons living with dementia. When St. Clair opened Candace was the successful candidate for the NC position supporting residents, families and team members in two secured neighborhoods. Candace has a passion for advocating for people living with dementia and she leads many culture change initiatives throughout the Village. Person-directed care is an essential goal for long-term care change agents. Decades of reform have led to some changes. However, there is still work to be done. This session presents the findings of a comparison of environment and practices between a traditional nursing home to a Green House home. The findings elucidate the importance of creating environments, practices and policies, and staffing that are intentionally designed for elders and their care partners. We will conclude by offering best practices that can be applied to any care setting and assist with starting a plan for change with the participants of the session. Compare the traditional nursing home (medical model) to Green House (person-directed model. Evaluate and Discuss gaps in current nursing home models. Plan next steps for how to incorporate best practices of person-directed care in care communities. Dr. Lisa Rill received her Ph.D. in Sociology at Florida State University with a specialization in health and aging. Before attending graduate school, she served as a Social Worker for five years in nursing homes throughout Florida. During her time in graduate school, she taught classes in sociology and aging, interned at AARP, delivered food for Meals on Wheels, and volunteered at the local senior center. Dr. Rill currently works as Research Faculty at the Claude Pepper Center at Florida State University. Her research includes quality of life in long-term care, aging in place, labor force issues, staff training requirements, pain management, person-directed care, nutrition, nursing home risk scores, Medicare/Medicaid, aging prisoners, and trends among older voters. She is also an editorial board member for the Certified Senior Advisors Journal, a Certified Eden at Home Associate, and member of the Pioneer Network Provider and Consumer work-groups in Florida. 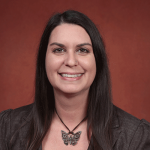 Dr. Lori Gonzalez received her Ph.D. in Sociology from Florida State University. Her research focuses on quality of care and quality of life in long-term care. Recent projects include several works on the Green House Project, a research publication on the Program of All-Inclusive Care for the Elderly, and analyses of Florida’s Certificate of Need Program and Culture Change over time. 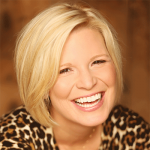 In this session, Jenni will share the story of personal transformation from a five-day-a-week bingo caller to a leader and influencer in culture change through life engagement. Participants will explore cementing a strong foundation through language, personal accountability, and relationships with elders, families and peers. Jenni’s inspiring story will make you laugh, cry, take a hard look at your own personal journey and energize your soul. The participant will be able to define the roots of the medical model and evaluate the language and practices that serve as barriers to growth. Through Jenni’s story of personal transformation, participants will be able to compare and contrast the difference between a traditional activity program and a life enrichment program. 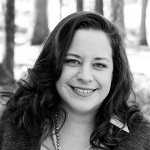 Jenni Dill serves as the Life Engagement Specialist at Chelsea Place Memory Care an Anthem Memory Care community. Jenni has a profound passion for elders and changing the culture of long term care through the development of deep human connections. She is an experienced life enrichment professional and Certified Eden Associate who believes in the beauty of spontaneity, creating moments of joy, and enhancing the lives of elders physically, emotionally, socially and spiritually. She is especially talented at incorporating intergenerational programming, using technology wisely and connecting elders with the community at large. Devloping effective activity programs for “Enhanced Living” (aka Memory Care) is particularly challenging, as this population has the widest range of ability of any group of elders. What works with high-functioning residents is often inappropriate for those in advanced stages of dementia and vice versa. In this session we’ll talk about the importance for everyone regardless of skill to have “purpose” in their lives. While we discuss how to design our programs to support all our residents we’ll have a chance to create a bit of no-fail art. The participant will be able to define purposeful activities. The participant will engage in discussion to gain a better understanding of what an Alzheimers Café is and how it can enrich the lives of individuals living with dementia. Jytte Lokvig holds a doctorate in Management of Alzheimers Caregiving. In the more than twenty years of experience working with elders, especially those with Alzheimers and related dementias, she has developed comprehensive and effective approaches to activity programs and in-depth staff training. Her resident-centered lifestyle programs encourage individual expression. She works with care communities on program development, as well as in-depth staff training. She counsels individuals, families and professionals in communication and effective caregiving approaches. Her specialties are effective communication and caregiving approaches, crisis management, and transitions. Lokvig also works directly with people living with dementia, helping them find purpose and easing communication in their relationships. In 2008 Lokvig started the Alzheimers Cafe in Santa Fe, NM — it was the only such project in the country at the time. Within a decade the concept had spread to over three hundred cafes nationwide. She continues to mentor communities to start up their own cafes. Lokvig is the author of: Alzheimers A to Z, Secrets to Successful Caregiving; Alzheimers A to Z, A Quick Reference Guide; The Alzheimers Creativity Project, Caregiver’s Ultimate Guide to a Good Day; Alzheimers Communication Handbook; and Alzheimers and Memory Cafes, How to Start and Succeed with Your Own Cafe. Since being diagnosed with Alzheimers Disease, Susan Balkman has learned that having a sense of purpose with dementia means not giving up and having something to look forward to. According to Susan, when she received the diagnosis of dementia and was given no guidance except to go home and get my papers in order, it took her breath away. She was young. What would she do with herself for the next two or more decades? Had she not met Jytte Lokvig she would have lost her ability to LIVE OUT LOUD WITH DEMENTIA. Jytte asked Susan what she loved to do and since then her life has opened up again because of her work with clay. This session will guide attendees in ways to incorporate the power of the “people/plant connection” at their communities. Presented by a registered horticultural therapist, focus will include a professional/nationally distributed video on HT and Elders, hands-on activity and team exercises. Participants will take away ideas and resources on how to incorporate more nature experiences in ways that support person directed care at their sites on a variety of levels. Green Thumbs are not required, just open minds and a desire to have fun while exploring. Define the terms horticultural therapy and therapeutic horticulture. Name person centered, person directed and other benefits derived from nature-based projects. List a minimum of five ways of offering more nature experiences for those being served. 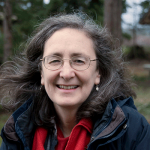 Pam Catlin has worked in the field of horticultural therapy (HT) for over forty years. Over these years she has come to recognize how powerful the “people/plant” connection is in supporting Culture Change. 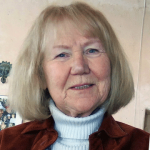 She is recently retired from Adult Care Services (ACS) in Prescott, AZ where she developed and directed the horticultural therapy program serving those attending the two adult day programs and the residents at the memory care community. CARF surveyors identified the horticultural therapy program at ACS as an effective conduit in providing person centered and person directed care. Though retired from ACS, she continues to serve on the faculty of the Horticultural Therapy Institute (based in Denver, CO) and consults through her business The Growing Difference. She has authored chapters in three HT textbooks and in 2012 published a manual of horticultural-based programs entitled The Growing Difference. Pam has presented two other times at Pioneer Network conferences and for two years provided trainings for ACS management and staff on ways to incorporate Culture Change throughout the company. She shares the HT and Culture Change message with all she serves including students and interns. In this session you will learn how Signature HealthCARE led transformation efforts in 57 communities through the Neighborhood Model; communities in their rural segment with traditional nursing home buildings and which did not undergo major construction. Learners will also learn about how they used person-centered practices such as team huddles, as a launching pad for transformation within the neighborhood. Additionally, guides will share their innovative LEAN strategies that incorporates the entire neighborhood in decision making and process mapping known as QUEST. 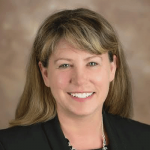 Angie McAllister is the Director of Cultural Transformation for the Hometown segment of Signature HealthCARE. 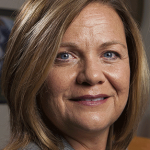 There she has led organizational change and person-centered care efforts for 57 communities. Angie currently is an Eden Alternative Educator and Mentor. She has served on the Tennessee Edenizing Foundation Board for 3 years before being asked to join The Eden Alternative’s International Board of Directors in 2017. Montessori is an approach to life that supports each individual in engaging in their community in a purposeful way. Working with Jennifer Brush and Brush Development, the approved AMI training center for Montessori for Aging and Dementia in the United States. the Montessori philosophy, roles, routines and activities are developed for each individual, which are meaningful to that person-giving everyone the opportunity to enjoy an enriched life full of possibilities, not limitations. Individuals living in a Montessori community do as much for themselves and others as possible, rather than having things done to them or for them. Join Clark Retirement Community as they discuss the steps they implemented to identify and enable individualized roles for elders with dementia in their community. Participants will develop an understanding of the importance of living a life with purpose so that individuals’ personhood can be maintained. Identify how the key components of the prepared environment can be integrated into the long-term care setting to improve health and communication outcomes. 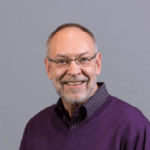 Chris Simons, a long-term advocate for person-centered care, has spent 42 years as an educator and consultant working with persons living with dementia and their families, and in moving staff towards person-centered care/culture change. Chris is currently the Director of Dementia and Life Enrichment Services, Project Manager of Montessori Research Project at Clark, where she is responsible for program vision focused on Person-centered care, Family educator, Leadership team member, responsible for Clark’s strategic goal “premier dementia program.” She has pioneered a variety of new programs at Clark for Persons Living with dementia including Friends Swim Club, dementia education for all of Clark’s 400+ staff, and has successfully gained approval to have Clark use Montessori Program in all dementia areas. Chris is also a founding member of Dementia Friendly Grand Rapids and she has been the recipient of three innovative programs of the year awards from Michigan Leading Age. Renee Parham began her professional career working in a nursing home serving individuals with a variety of needs, including those with various stages of dementia. She recognized that those individuals living with dementia were being underserved and wanted to discover and use methods of helping them to live engaging and satisfying lives. By joining the team at Clark Retirement Community and implementing the Montessori for Aging and Dementia program, she has done just that. Being a Certified Therapeutic Recreation Specialist, a Certified Dementia Practitioner and now an Association Montessori Internationale Certified Montessori Practitioner, Renee has a well-rounded understanding of the needs and abilities of those living with dementia. Westminster-Canterbury on Chesapeake Bay has created an innovative model of care called the Lighthouse Engagement Model. The model focuses on engagement, empowerment, and environment and consists of six beacons: Person, family and community partnership and engagement; Care interactions supporting individualized choices; Innovative technology and care processes; Life affirming environment; Enrichment of daily life; and Team centric culture. Attendees will gain an in-depth understanding on vetted person-centric living approaches. Attendees will explore the Lighthouse Engagement Model, results and how an innovative design can affect the quality of life and wellbeing of residents, families, and staff. Attendees will learn how we created this model and pulled together a team to push this culture change initiative on our campus. Attendees will also learn the benefits of having an external advisory council and how to create one for their community. Dr. Victoria Crenshaw is the Vice President of Resident and Health Operations at Westminster-Canterbury on Chesapeake Bay Life Plan Community. Dr. Crenshaw has an extensive healthcare background with over 25 years of experience. 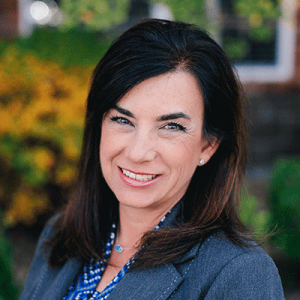 She has served as Vice President of Operations for a National Healthcare company providing services to skilled nursing and assisted living facilities. She served as the Vice President of Programs and Services for the Alzheimer’s Association National Capital. Jennifer Melnyk is the Administrator of The Hoy Center, the skilled nursing center at Westminster-Canterbury on Chesapeake Bay. She supports, coordinates, and implements specific programs and procedures to ensure the health and well-being of patients while complying with state and federal regulations. Jennifer oversees The Hoy Center by empowering staff to provide excellent customer service and acute nursing practices and supporting family members and guest through the skilled nursing process. 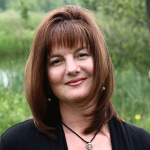 Sonya Barsness is a gerontologist with over 22 years of professional experience in aging. Her work begins with the lived experience of people growing older and growing with dementia and brings these perspectives to life so that education, research, policy, and practice truly reflect what is important to elders, people with dementia, and those who care for them. As a consultant she works with organizations to operationalize person-centered values of choice, dignity, respect, self-determination, and purposeful living through education, evaluation, and practice. Her mission is to help organizations better support people in growing older and growing with dementia. Sonya has served elders and their care partners in assisted living, nursing homes, and home- and community-based settings. Developing and sustaining a successful empowered staff is no small feat. In The Green House model, support for this structure is built in! The Sage is an elder volunteer who has acquired wisdom through their experience, understands the ideals of the organization and provides guidance to the self-managed work team. In this session, attendees will better understand the successes and challenges that The Green House homes of Mirasol faced as they worked to recruit and support a group of Sages, and strategies that can be applied in any community to utilize volunteers to support the empowerment of staff. Understand the role of the Sage in The Green House model and how your organization can utilize volunteers in a similar way to support your employee’s growth, becoming more empowered. Explore the qualifications for a Sage and how to recruit volunteers that will be successful in the role. Gain insight into leaderships role in supporting the sage so that volunteers feel valued and an integral part of the team. 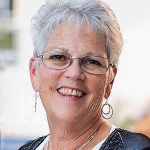 Claire Lucas has focused her practice in the field of long term care for over 25 years and is a licensed nursing home administrator in the state of Colorado. She joined The Green House Project team in 2013 as a Project Guide, serving adopters/sponsors who partner with the organization to build and implement Green House homes. The implementation process involves a phased process that aligns the organization with The Green House Core Values and Essential Practices of Meaningful Life, Empowered Staff and Real Home. The Project Guide is skilled in the extensive technical assistance and educational curricula resources that have been developed to assist in the transformation process. Prior to joining the Green House Project, Ms. Lucas held several leadership roles within long term care to include Specialty Program Consultant, Executive Director and Vice President of Operations. She has worked with elders in nursing homes, sub-acute care, dementia care and hospice. Other than operations, Claire has been very active in Alzheimer’s disease care developing some of the earliest Special Care Units. An Eden Educator, Claire is a life-long advocate of person-directed care and creating quality living and work experience for elders and care partners. She has been invited to speak both nationally and locally on The Eden Alternative® and Alzheimer’s disease. Lisa Bryant has been with The Green House® homes since August 2014 before the first doors opened for business at Mirasol Senior Community on October 1, 2014. Lisa worked as an Activities Director, Social Service Director, and in Sales and Marketing within the nursing home setting since 2002. Lisa has been active in Culture Change since 2008 and has been helping make changes to traditional nursing homes ever since. Lisa believes that the Green House® Homes provides a real home and a more meaningful life to their Elders. In long term care, we focus our efforts on caring for our residents. As a leader, how much focus do you put on caring for your staff? We can build better relationships with our staff when we acknowledge their struggles. This session will focus on understanding staff needs by using Maslow’s Hierarchy. Maslow described how basic needs must be met before higher needs are met. Through better understanding we can improve how our organizations meet the needs of colleagues and improve colleague retention and engagement. Discuss the current status of the LTC workforce. List Maslow’s Hierarchy of needs and identify strategies to meet these needs in the workplace. Create personal strategies to meet the needs of staff in your own home. Stacey Johnson is an experienced nurse leader. 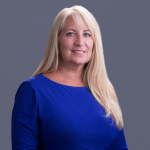 A Registered Nurse and Licensed Nursing Home Administrator, Stacey has over 20 years of experience in Long Term Care. She has a BSN from Indiana University and MSN from Bethel College. She has extensive experience working as a Director of Nursing, regional nurse consultant, and nurse executive. 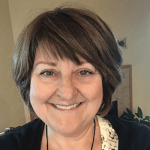 An advocate for nurse leaders, she has been an instructor for the Nurses as Leaders Course at Ivy Tech Community College and contributor to the Leading from the Heart Blog. She is a member of the American Nurses Association, American Association of Nurse Assessment Coordinators, and a coordinator for Nurses Improving Care of Health System Elders. This presentation is about my journey, starting with the early signs of Alzheimer’s and pre-diagnosis, leading up to and including my diagnosis. The actual diagnosis process is painful to speak of, due to the impersonal and unprofessional treatment I received. Yet, it must be told for educational and training purposes. The session will also cover living with loss and stigma, both positive and negative impacts on family life, and the vital role of engagement and empowerment. Name two early signs of dementia-related conditions. List two ways impersonal, clinical interactions differ from person-directed interactions. Identify two person-directed approaches to living with Alzheimer’s disease. Brian LeBlanc is an individual “Living with Alzheimer’s Disease”. His mission is to share awareness and education from the perspective of day-to-day life with Alzheimer’s Disease. He also trains and educates Law Enforcement Officers and First Responders through Crisis Intervention Team Training as to how to recognize and work with persons who are living with a Dementia-Related Illness. Does your approach to restorative nursing seem outdated? Historically restorative nursing is a task-focused, routine, program owned by the nursing department. In this session, you will learn how to apply the 7 Eden Alternative Domains of Well-Being™ to create a person-directed experience that engages all members of the care partner team and supports a quality restorative program in skilled nursing as well as in assisted living. You will also hear about two innovative concepts that will challenge your own perspective of restorative care. Name two reasons why traditional approaches to restorative care typically yield poor outcomes. List two ways that the Restore Me approach differs from traditional approaches to restorative care. Identify two positive, measurable outcomes from this holistic approach to restorative care. 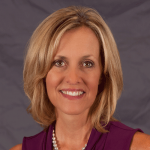 Angie McAllister is the Director of Cultural Transformation for the Hometown segment of Signature HealthCARE. 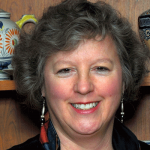 There she has led organizational change and person-centered care efforts for 57 communities. Angie currently is an Eden Alternative Educator and Mentor. She has served on the Tennessee Edenizing Foundation Board for three years before being asked to join The Eden Alternative’s International Board of Directors in 2017. Ryan Myracle has been instrumental in helping to maintain the program that the team at Signature HealthCARE hopes to continue to implement and sustain at all of its communities. He has helped to orchestrate person centered care learning modules for our homes through his work with Instructional and Graphic Designers to create person-centered care learning modules, participation as a member of the senior leadership team for the Hometown Segment; facilitation both face to face and online person-centered care training; Assisting the Quality of Life Team with training and development; and serving as a person-centered care resource for the Learning Department. Annette Wenzler is responsible for leading a team of 20 nurse consultants and 3 Behavioral Specialist to provide services for 60 skilled nursing homes in six states ensuring the clinical operations and delivery of clinical services are in accordance with standards of practice as well as state and federal regulations; mentor and direct the Regional Clinical Compliance Specialist to assist in plans of actions and survey preparedness; Direct and mentor the Director of Policy and Procedures/QAPI for the entire clinical team of Signature Healthcare which consist of 130 nursing homes in 11 states. She develops programs of distinction; promotes company mission and vision. We want to do it; regulations require it: quality assurance and performance improvement programs to improve residents’ quality of life and quality of care. But how do you move from publicly-available tools and resources to implementing successful, tailored quality improvement (QI) programs? In this session you will (1) learn key processes for creating meaningful QI efforts and (2) apply a theory-driven, user-friendly, and adaptable framework to guide those efforts in your community. You will leave with viable, concrete strategies for transforming your community by keeping change bite-size and helping all members see with new eyes and focus on the positive. Define nursing home quality assurance and performance improvement (QAPI) programs; discuss participant experiences with QAPI. Have participants plan their own goals; discuss and evaluate strategies for implementing a theory-driven quality improvement (QI) framework. Participants will apply knowledge to design a QI initiative for their organization. 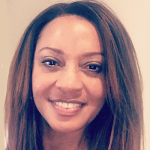 Dr. Whitney Mills is a researcher at the Center for Innovation in Quality, Effectiveness, and Safety at the Michael E. DeBakey VA Medical Center and an Assistant Professor in the Department of Medicine – Section of Health Services Research at Baylor College of Medicine in Houston, Texas. Dr. Mills’ research focuses on developing and testing interventions to improve the quality of life and quality of care for older adults in residential long-term care settings. She received a PhD in Aging Studies in 2014 and is currently funded on a VA Career Development Award to improve transitions for Veterans returning to the community from VA nursing homes. She currently serves on the Pioneer Network Development and Public Policy Committees. 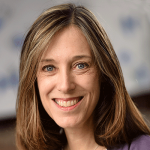 Christine Hartmann is a Supervisory Research Health Scientist at the VA Center for Healthcare Organization and Implementation Research and a Research Associate Professor at Boston University’s School of Public Health. 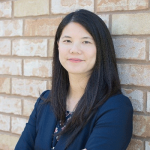 Her research focuses on nursing home resident safety, quality of long-term care, and nursing home cultural transformation and uses both quantitative and qualitative methods. She is a principal investigator for a number of large, VA-funded grants investigating how to improve person-centered care in nursing homes. Christine chaired the VA national nursing home cultural transformation steering committee for 4 years and has published numerous articles in this area. Taiwan’s population is rapidly aging. The country is challenged with caring for an extremely diverse group of elders who live in urban and rural areas, who speak multiple languages, and with a shortage of health care professionals to serve them–sound familiar? Come learn how one foundation has developed successful community-based activity and adult day centers and their innovative approaches to providing meaningful and purposeful programs and services to their elders. This session will leave you refreshed with new ideas to incorporate into your life enrichment activities and inspired to try new approaches to community outreach. Compare the similarities between challenges faced in Taiwan and the U.S. when caring for a rapidly aging population. Discuss key components to innovative community-based adult day & activity center life enrichment programs. Practice several activities used in Taiwan’s adult day & activity centers. 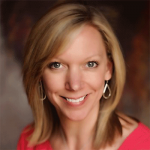 Since 2009, Angie Keeven has volunteered with MC5 (Missouri Coalition Celebration of Continuum Change) as a Board Member, Chair of the Education Committee, and a St. Louis Regional Representative. MC5 promotes collaboration within the adult care continuum to create environments where the dignity and value of each individual who lives or works there is respected and celebrated. Angie also provided environmental and program design consultation on behalf of the Alzheimer’s Association Greater Missouri Chapter, was an Adjunct Professor at the Brown School of Social Work at Washington University and served as a Board Member for Memory Home Care Solutions. She recently joined the team at Cedarhurst Living as Vice-President of Organizational Development. Angie enjoys working with families, leadership and professional care providers to improve the lives of older adults along the adult care continuum through the promotion of meaningful and purposeful living throughout Elderhood. Li-Tzu Tu is a licensed social worker and serves as Executive Assistant to the Chairman at A Kernel of Wheat Foundation in Taiwan. As a social worker who has great passion in working with individuals and communities, she has five years of professional experiences working as a clinical social worker and research assistant in multiple social service and health care communities domestically as well as internationally. Li-Tzu holds a B.A. in Social Work from National Taiwan University and dual Master degrees in Social Work and Public Health from Washington University in St. Louis. 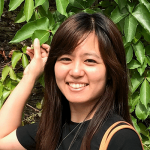 While studying in Missouri, Li-Tzu participated in several MC5 regional meetings, attended a Board meeting, and has incorporated the concepts and approaches of person-directed care that she learned into her work back in Taiwan. Namaste Care™ is a unique person-centered program to enhance the quality of life in persons with dementia, residents with physical limitations, and individuals exhibiting challenging behaviors. A qualitative study was conducted at a long-term care community to analyze the effectiveness of the Namaste Care™ program. Six themes were identified. The use of multiple modalities including technology aides can enhance the Namaste Care™ experience for older adults in any setting with an opportunity for more meaningful interactions. This session will provide an overview of the principles of the Namaste Care™ program, resources to develop the program, and the research study. Discuss the six themes identified related to Namaste Care™ in a long-term care community. 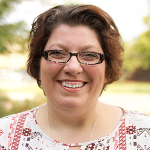 Dr. Paula McNiel serves as an Associate Professor, Senior I Level Facilitator, and International Travel Coordinator at the University of WI Oshkosh. 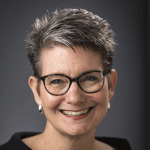 She firmly believes in the College Mission of “preparing caring, scholarly, nursing leaders” and constantly is a champion in the College to expand geriatric education. In addition, she provides consultation services in the community related to older adult care and health promotion. 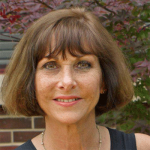 As a family nurse practitioner, Paula has over 35 years of experience in health care. She has actively served on national, state, and local boards related to older adult health and long-term care. She is a strong advocate for person-centered care and her research trajectory is aimed at educating and sharing new interventions and solutions to promote growth and development for each person to their full capacity, with a focus on older adults. 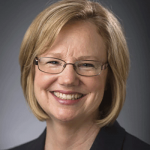 She has published multiple manuscripts on teaching techniques, patient-centered care for older adults, and the importance of “Leading in the Board Room.” She currently is on the Board of Directors for the Valley VNA in Neenah, WI; Partnership, a federally qualified health care center in Appleton, WI; and the Winnebago County Board of Health in WI. She received the high honor of the Edward Pension Teaching Award at the University of WI Oshkosh in Fall, 2017. 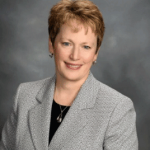 She is certified in Community Public Health and holds a BSN in nursing from Marquette University, FNP from the University of WI Oshkosh, and a Doctorate of Nursing Practice from the University of Minnesota. 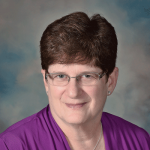 A registered nurse, Judith Westphal has over 40 years of experience in healthcare. Most of her experience is in management and leadership roles including progressive management positions from first line supervisory roles to executive leadership roles in health care organizations and educational institutions. 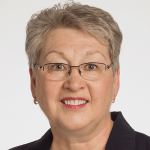 Judy provided leadership for culture change in a local nursing home and has been involved in culture change initiatives as a board member of a long-term care community. She currently serves on the board of directors for a local health care system which included several long-term care communities and continues research in the area of quality of life for residents of long term care communities. Dr. Westphal holds a BSN, MSN and a PhD in nursing. Mahatma Gandhi advised us to become the change we want to see in the world. To champion culture change we need to constantly be learning to hold the center as we have one foot in the old culture and the other in the future. We need to learn the personal qualities that will help us become ever more effective at promoting empowerment and change while we grow towards mastery. Our mastery grows from learning to transcend our egos as we seek the perfect balance between holding fast and yielding for the sake of the greater good. Understand U theory in management and team development. Illuminate universal principles through the use of stories, music, parables, paradoxes, metaphors, and allegories. 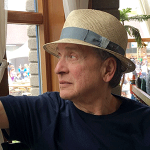 A former CEO of a multisite long-term care organization dedicated to person-centered care and national speaker, Jeff Jerebker continues to work to influence Elder-Care in this country through his blog and as an author of books including Oh Mercy! The Coming of Age of a Nursing Home Pioneer. 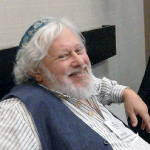 Barry Barkan developed the first culture change project in long-term care in 1977. Since then he has taught and written extensively about the Live Oak Regenerative Community approach to culture change. Barry is among the founders of the Pioneer Network and he continues to serve as a guide and mentor to others. He co-founded the Elders’ Guild to bring the 21st century culture of aging to people who are aging in their communities and through the Elders’ Guild he has been working to engage emerging elders in a culture that promotes community, deepening wisdom, and championing the future. What have we learned about smart design, and how it impacts quality and cost? In both the legacy home and Green House homes, a successful design is one where the architectural response is specific to each unique organization and always includes the smallest footprint possible. Learn from the experts how smart and small design impacts quality and cost in both legacy homes and Green House homes by focusing on particular aspects of the home such as the kitchen, bathroom and spa. This session offers tips, tools and resources to facilitate a rewarding and empowering design process. Discover how designing legacy neighborhoods and small homes with the least square footage creates real homes where elders desire to live. Gain insights into the design elements, equipment and interior design that most effectively evoke the sense of real home and are the best investments for the organization. Explore lessons learned in all areas of the home from The Green House Project to identify what works and what does not in the bathroom, spa and kitchen. Debbie Wiegand has spent the past 25 years as a Licensed Nursing Home Administrator in the non-profit sector. She has worked with elders and families in skilled nursing, assisted living, home health, Independent living and CCRC communities. She embarked on a journey of culture change early in her career and provided leadership to each organization in moving elder centered principles forward. That journey led to opportunities engaging in creative and inspirational encounters related to education, design, organizational change, and regulatory partnerships. Visionary leaders inspired Debbie to strive for the creation of real home, where regulations are met and exceeded within an environment that no longer looks or feels like an institution. Spending time with Elders came naturally to Debbie while living in a small rural community surrounded by elders. Not only has she spent her entire career in the field of gerontology, but she grew up learning from the stories her grandparents and great grandparents shared with her as a young child. She lives with her family on a large farm that has been handed down through generations. Rob Simonetti is responsible for various types of projects from schematic design through project closeout. His experience includes design on many senior housing and healthcare projects, which have required extensive record keeping and production of well-coordinated bidding documents. Rob performs code review, project design, consultant coordination and oversees production of construction documents. Rob has also received training as a certified Eden Alternative Associate, giving him valuable insight to the issues facing providers implementing culture change. Engaging non-traditional aging services community partners can enrich and accelerate your organizational efforts to support not only your residents & clients, but the greater community in becoming Dementia Inclusive in both perception and practice. This session will provide proven methods of community engagement, how to seek and secure community partners and share how technology can be leveraged in creating dementia awareness and inclusive practices in the greater community. You will understand how you can position your community in the court of public opinion as a reliable resource for dementia education. Through business and organizational engagement you can lead the effort to reduce societal marginalization of those living with dementia and their caregivers. Learn about a partnership between an aging services provider, a local Chamber of Commerce and a web developer to bring Dementia Inclusive education to the regional business community. Explore the manner in which that education is delivered and the quantifiable response from the business community regarding the impact to customers and employees. Identify the advantages to extending Dementia Inclusive education outside the walls of our traditional brick and mortar aging services environments. 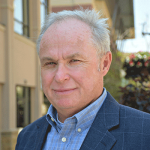 Tim Rogers has more than 30 years of experience in the business community as a small business owner, and also working for large companies including AT&T and QWEST (now Century Link). He has spent the past 12 years in the field of aging services in both Sales/Marketing and in Operations. 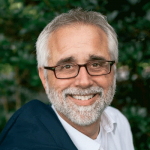 Tim is a 2016 Fellow of the Larry Minnix LeadingAge Leadership Academy and has developed a passion around supporting those with dementia in the greater community by taking much of what is offered to residents in Senior Living environments out into the public square. Pam Sullivan has more than 25 years of experience in the communications field. She began as a television journalist working as an anchor, reporter, producer and assignment editor and then as fund raiser and communications/marketing support to Christian Living Communities for the last 13 years. Pam has earned several awards for her work in both the not-for-profit senior services and journalism field including two Emmy Awards. Pam is a skilled communicator, strategist, and logistical planner. Pam’s calling is to tell the human story, connect each of us to one another and help develop programs that make a difference. Prior to accepting the Chamber president/CEO position, Robert Golden served as president of Golden Solution LLC, a Denver-based association consulting firm. He previously served the REALTORS® Association in executive leadership positions for 17 years in Colorado, Vermont and Florida. One of Bob’s key strengths is the creation of effective public policy infrastructure and outreach. He is also a skilled strategist with experience in coalition building, financial stewardship, and public relations. He is a Certified Association Executive (CAE) and Realtor Certified Executive (RCE). Thoughtfully-designed intergenerational initiatives offer purposeful engagement for Elders, and inspire and empower younger people to serve as agents of change. Layers of reciprocal benefits for all involved are revealed, including enhanced well-being, destruction of ageist and ableist perceptions and attitudes, enriched relationships between all stakeholders, and a more authentic sense of “home” wherever home may be. Participants will explore and discuss how to deepen the practice of person-directed care by building meaningful intergenerational relationships that thrive less on rigid programmatic thinking, and more on an organic, collaborative process. Specifically, this session will focus on engaging youth ages 13 and above. Describe two ways that close and continuing inter-generational relationships improve quality of life for all. Identify two ways that inter-generational initiatives enhance our ability to help develop larger caring communities. Name two elements of a successful inter-generational endeavor. Laura Beck, MPAff, serves as Learning and Development Guide for The Eden Alternative, an international non-profit organization focused on creating quality of life for Elders and their care partners, wherever they live. Her nearly 15 years with The Eden Alternative include development of Eden at Home, an initiative of The Eden Alternative focused on meeting the needs of Elders living at home and their care partners. 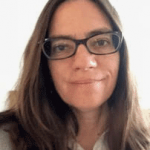 Laura works with aging specialists worldwide in the development of curricula, materials, and messaging that promotes the practice of person-directed care. As the daughter of an Eden-nurtured Elder who lived with Alzheimer’s disease for ten years, she has experienced first-hand the powerful effect of person-directed care, particularly as it impacts the lives of individuals living with dementia. As a national speaker and educator, Laura is a committed advocate for changing the culture of care via the creation of informed, supportive, intergenerational communities. Meredith Martin was introduced to person-directed care as a college student at Middle Tennessee State University. Inspired by the transformative nature of individualized care, she pursued a full-time position at an organization practicing culture change. From there, she dedicated ten years to driving initiatives that maximized quality of life and quality of care for the Elders living there. 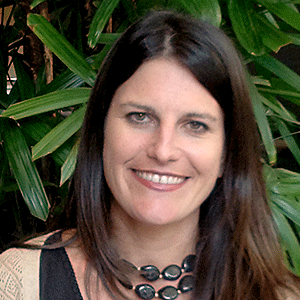 As an Eden Mentor, Eden Educator, and active member of the state’s culture change coalition, Meredith has also helped champion person-directed care in the southern states for the past twelve years. In 2009, she joined The Eden Alternative, a global non-profit, as Education Coordinator. In this capacity, she coordinates a complex national network of educational opportunities developed by The Eden Alternative, focused on transforming care and well-being for Elders, wherever they may live.